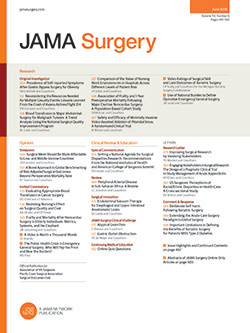 The editors and editorial board of JAMA Surgery would like to acknowledge and express appreciation to those individuals who served as peer reviewers in 2014. Their invaluable service helps us maintain the quality of the articles we publish. We are most grateful for their contribution.